Foam roller exercises use a process called self-myofascial release. The muscles of the upper arms embrace all that is good in life! In this article, I focus on foam roller exercises and stretches for the upper arms; biceps and triceps. While upper arm foam rolling is not often done, I will focus on the body-mind connection that is stimulated when your energy is directed to this area. Foam rolling is a marvelous way to understand your body better. Foam roller exercises can be used to learn where you hold your tension. Those nasty, habitual patterns of stress that manifest themselves somewhere in your body, is your unique signature regarding where your body-mind-soul issues lie. It is the manifestation of your body-mind connection. There is no doubt that emotions affect our body. Each one of us is living proof of it every day! Just feel the top of your neck and shoulders on any given stressful day. If you would like a more thorough introduction to the body-mind-soul aspects of foam rolling, please see my index article on foam rolling. There I describe the effects of self-massage, or self myofascial release as foam rolling is known among professionals. If you are in need a foam roller, the best, in my opinion are the premium models. The textured kind with high-density EVA foam are worth the extra dollars in durability and comfort. Pair your foam roller with yoga sticky mat for the ultimate in comfort. Most of us are familiar with the two major muscle groups in the upper arms: The biceps and the triceps. The biceps are the muscles in the front of the upper arms, the ‘Popeye’ muscles. The biceps are actually made up of two muscles. The major function of the biceps in the front of the upper arms are to flex the arm at the elbow. The biceps pop out nicely when you 'make a muscle' with your arm. The triceps – you guessed it – are actually made up of three muscles in a group, at the back of the upper arms. The major function of the triceps in the upper arms is for extending the arm at the elbow. The use of metaphors is relation to the physical body is extremely common in the English language and is deeply embedded in our culture. I believe this is an indication of a subconscious knowledge of the body mind connection. It is important that you understand this concept of metaphors in more depth, so you can understand its significance to you personally in healing your pain. See my article, What is a Metaphor if you desire. In the language of metaphors of the body, your arms hold and embrace things. Or they fail to hold and embrace, whichever is your personal truth. When you ‘wrap your arms around something,’ you want to understand it and keep it or hold it towards yourself. We wrap ourselves in the arms of love, for instance. If the opposite is true and you ‘keep me at arms length,’ you don’t trust me, do you? Nor do you want to get to know me better or bring me closer to yourself. If you are ‘up in arms,’ the extreme opposite, you are angry and preparing to fight. When you want to describe comfort and warmth you say, ‘I am safe in the arms of my Love,’ or ‘safe in the arms of God, or the arms of angels.’ The arms of the body denote the state of being safe. Additionally, the arms wrap and embrace you in the emotion of warmth, comfort and the feeling of being safe. Most likely, if you feel this warmth and safe feeling you will not have issues with your upper arms or elbows. You all know what happens when you ‘hold on too tight.’ That very thing that you desire becomes illusive. If you ‘hold on loosely’ most likely you will not drive away your desires. Another part of the arm that is often used in body metaphors is the elbows. Elbows, like the knees represent flexibility. If you have tennis elbow or golfer’s elbow these are both conditions of overuse of the elbow. Consider whether your elbow pain is a manifestation of any lack of flexibility in your life. If you are looking at changing your direction in life or need to accept a new experience, the pain in your elbows may tell you something about your adaptability. The elbow pain that is tennis elbow is at the lateral epicondyle, or the elbow bone that is in line with the shoulder. This is more commonly known as the ‘funny bone,’ because if you hit it just right, and hit the nerve in this area, an electric pain shots down your arm. It is the ‘outside’ part of the elbow. The ‘inside’ part of the elbow, or the medial epicondyle is the seat of elbow pain known as golfer’s elbow or medial epicondylitis. Contrast this body metaphor, of closeness when you ‘rub elbows with someone.’ Then you don’t mind being crowded, do you? If you have issues with sore or painful arms, bicep pain, triceps pain or elbow pain, reflect on the symbolism this pain holds for you and your life. Are you unable to hold onto life’s gifts of love, joy and happiness? Are you holding on too tight to something? Are you inflexible or pushing and elbowing your way around? I lovingly embrace each and every new day! I hold loving thoughts of joy in my heart! I embrace all new experiences with love and joy! I have plenty of ‘elbow room’ for all the things that I enjoy and love. I hold onto all that is positive and release all my negative beliefs. Life is there for me and supplies me with love and joy! I am safe in the arms of God! When you foam roll your muscles, you perform self-myofascial release. Focus on the muscle knots, or the areas that are sore. As you foam roll and you feel a sore area, hold the pressure on that spot for 20-30 seconds until the muscle releases. 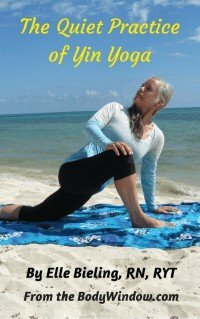 You may find that if you perform your foam roller exercises in a reflective and meditative manner and contemplate on the meaning of your sore muscles in your life, that as the muscle tension releases, so may your stored body emotions release. A foam roller is a marvelous tool for developing your intuition. My readers have reported weird feelings when doing foam roller exercises, and some cry as their emotions come out. Some feel great fear, as if they cannot bear to know what is stored inside. I feel a great total body-mind-soul release when I do foam roller exercises. I gather great insights into myself as I meditatively focus on the meaning of my sore areas. I tell my muscle tension to release as I foam roll and I tell my emotions to release. I then create the positive affirmation for that area. I replace the tension with the affirmation. It’s that simple. And it works for me every time! It’s as if the foam roller exercise gets rid of the congestion in my muscles, so I can create the space needed for the positive energy to flow in. The combination of foam rolling for releasing the muscle congestion and emotions and the exercise stretches like Yoga that creates the healing and the space needed for the change. I think of my body as fertile ground where all my creative energy begins and ends! Never am I more creative than when doing body awareness work. I hope the same will be true for you. Because I know that when you care for the body, you care for the soul! Foam roller exercises and stretches together are a lethal combination for healing the body-mind-soul. Add the positive affirmations and you have one big bang of healing and creative energy, flowing outward towards your heart’s desires! You do not have to follow my instructions exactly for these foam roller exercises. Adjust the movements to the left or right, or shift your body up or down, so that the movements work for you. When you try the foam roller exercises shown in the video below, remember to always follow your breath. Go slowly, looking for your sore spots. Never apply so much pressure to the muscles that you cannot continue to breathe deeply. If you hold your breath, your muscle will not release, but only tense up more! This is exactly what you don't want! Deeply breathing signals to your body that you are very relaxed. When you learn to breathe deeply and let go, the muscle will release, and hopefully so will your pent up emotions! If you feel more than mild pain while foam rolling, and you are holding your breath, back off the pressure a bit until you are able deeply breath again. Go ahead and give it another try as you focus on your sore area and send your breath into it. It make take several tries over several days to learn to relax and let go of this sore area. Mindful and intuitive movements, where you keep your attention on your body and its sensations, never pushes through any pain. Pain is a always a warning to you that something isn't right, and needs to be adjusted. If you have severe pain in your upper arms, biceps or triceps, seek medical attention. Use any size, round foam roller for these upper arm exercises. In the first roller exercise for the triceps, use a table to assist you. Choose to either stand by the table, if your table is tall and/or you are short, OR sit in a chair by the table if this height feels the most appropriate for you. Place the foam roller on the table, and position your upper arm perpendicular to it at a comfortable spot on the triceps muscles. Bend your elbow and keep your forearm up. Begin rolling up the length of your triceps muscle, stopping at sore spots as needed. Then slowly roll down the muscle. Now rotate your forearm so your palm is down, perpendicular to the ground, still keeping your elbow bent. Roll back and forth on the triceps at this new angle, focusing on the anterior portion of the triceps. Now roll your forearm all the way back until your palm faces upward. Roll back and forth at the new angle to focus on the posterior aspect of the triceps. As you roll the entire length of the muscle, pause when you hit a sore spot, and apply pressure for about 30 seconds. Then release the pressure, allowing for re-oxygenation of the muscle. Roll the length of the muscle again and return to the muscle knot. Apply pressure again for another 30 seconds. Remember to breathe throughout this foam roller exercise! In the second roller exercise for the biceps, use the same standing or sitting position as in the first. Straighten out your arm and place the foam roller perpendicular to your arm at the biceps. Rotate your arm downward as far as you comfortably can, with your thumb pointing to the table and your palm backward. In the third roller exercise, also for the biceps, position your foam roller so that your arm is back further behind you at a 45 degree angle. Place the roller under your biceps. Make sure that your arm is rotated so that you palm faces the sky. Roll the biceps up and down, stopping as needed. You can do the same exercises from above, on the floor. It may be a little more awkward, but you may be able to increase the pressure, if needed by using the added weight of your body. In the fourth roller exercise for your triceps, lie down on the floor and turn on your side, keeping your knees bent. Raise your upper body and place your triceps on the foam roller with your arm bent. Using your forward arm for balance, push off with the same arm, to roll up and down the triceps. In the fifth roller exercise for the biceps, begin like you do in the fourth exercise. Position the roller under your arm at the top of the biceps with your arm out straight. Rotate the entire arm so that the thumb points to the ground. Roll up and down on the biceps, using your forward arm to push off and balance. May you experience Peace with your body, as you hear the messages it is telling you through your body window. May the foam roller exercises for your upper arms help you in this body-mind-soul healing process!